We have built up a comprehensive fleet of vehicles designed to accommodate your event needs no matter how big they are. 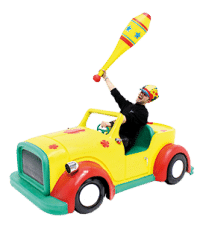 It would be wrong to assume that because we are located near Leeds, hiring our wonderful props would be out of the question. Far from it! 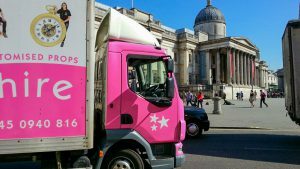 Around 95% of the events we deliver to are located in central London and for that reason, we offer even cheaper rates than our London based competitors. 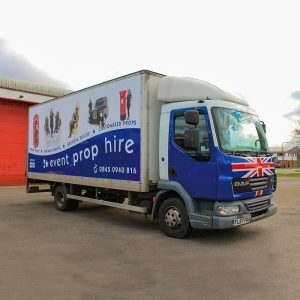 Starting from £75+ VAT each way, you can hire a huge lorry full of props and have them delivered to anywhere within the M25! 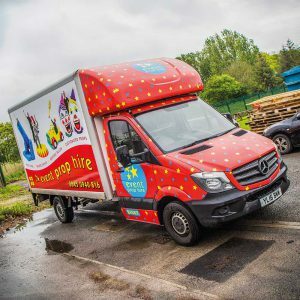 No matter where your event is being held in the UK, our experienced driver and installation team have the skills and experience to deliver your props on time, in tip top condition and when needed, installed and set up. 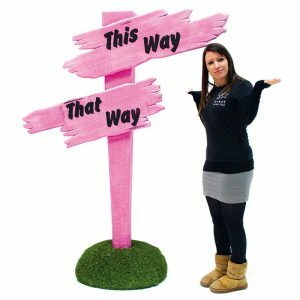 When you are considering which theming supplier to use for your event, distance and location need not be a consideration when choosing Event Prop Hire. 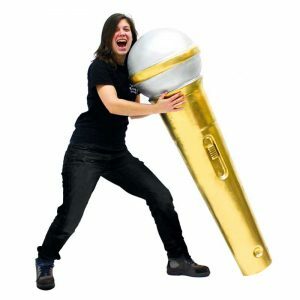 Hire Event Prop Hire with confidence and piece of mind. It goes without saying that we hold an International Operators license that allows us to not only deliver anywhere within the UK, but also across Europe for our international clients. 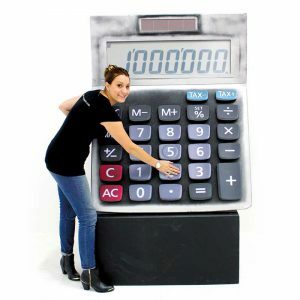 Event Prop Hire’s reputation for creating outstanding quality theming and props is known internationally and our services are highly sought after around the world. Monte Carlo, Paris, Madrid, Switzerland & Dublin are just some of the countries we have delivered to for our international clients. 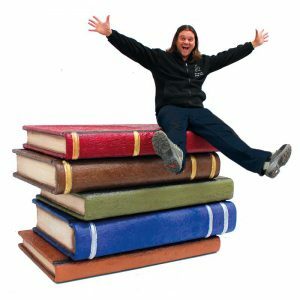 However, there are some things you should know about international events with Event Prop Hire. We do not deliver to America, Australia or the Far East – It’s just too far we are afraid and country specific import rules often prohibit us even if we wanted to. 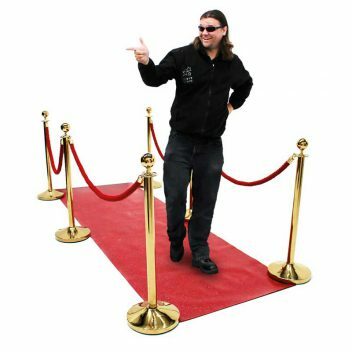 For European events, a minimum prop spend of £3000 is required and this does not include delivery which is quoted for separately. We have drivers & installation teams in London and across the UK every day and they know the streets, venues and access routes like the back of their hand. 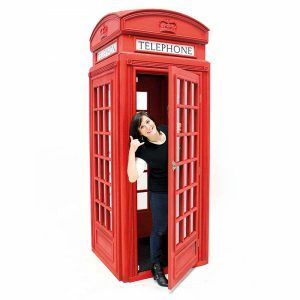 So, if you require a professional team of experts to get your props to your venue, whether it’s the Tower of London, Old Billingsgate, Birmingham’s Bullring or Glasgow’s SSE Hyrdo, our team have been there, seen it all before and got the T-Shirt! You’re in safe hands and can trust us. 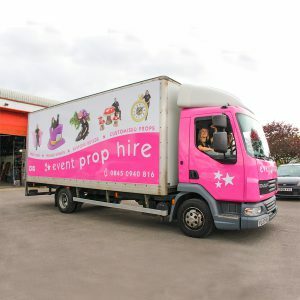 Our transport team know the fastest, safest and most efficient way of getting your props to you in good time for your special event, no matter where you are located. We have a team of 12 full time drivers with over 80 years collective driving experience of heavy goods vehicles within the UK and abroad. You don’t need to worry about when your delivery will arrive, everything is planned and controlled with military precision from our Operations Hub. Each of our vehicles is fitted with tracking devices that allows us to keep you updated as to where your driver is. Additionally, each of our drivers carries an iPhone 6 with 4G connection which is used to keep the Operations Hub informed of any unforeseen issues that might arise. 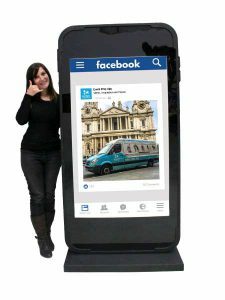 With Event Prop Hire, you will always know where your driver is and how long it will be before they arrive at your event location. 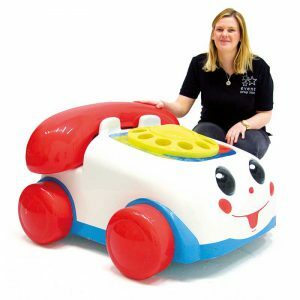 To minimise the delivery rates you pay, we deliver our props under ‘dry hire’ terms (what is dry hire? 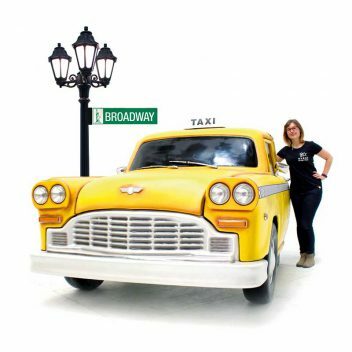 ), meaning that the props are delivered unassembled and to the ground floor loading bay only. 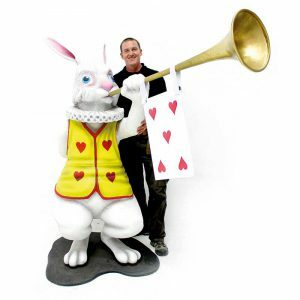 If you wish however, you can take advantage of Event Prop Hire’s distinguished Installation Service for an additional charge. Choosing this option takes all the hassle out of delivery by leaving everything up to us. 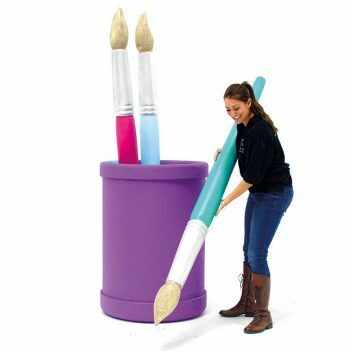 We take the props exactly where you need them and set them up to your specification on site. Our Installation team will then come back to de-rig & remove the props at the exact time you require. 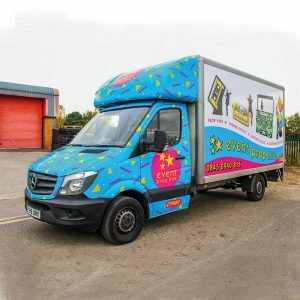 You might think that with Event Prop Hire being based near Leeds that our delivery rates are going to be expensive, but we can deliver further and for less than our competitors. We are able to do this by absorbing much of the true cost of delivery so that you don’t have to. The use state of the art transport planning software also helps our Operations Hub group multiple deliveries together in the most economical way possible to further keep costs down. 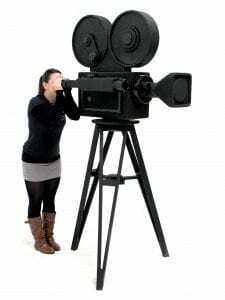 In order to offer these rates there is a minimum spend we require based on where you require your props delivering. *What does dry hire mean? 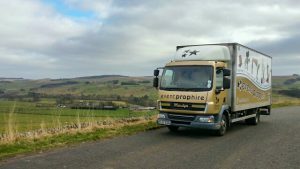 Dry Hire orders are delivered by one man in a van, and do not include set up or de-rig. The driver will require assistance with unloading/loading –which is made as standard to a ground floor loading area. Installation or production design services are also available; please contact a member of our sales team if you would like to discuss the options.